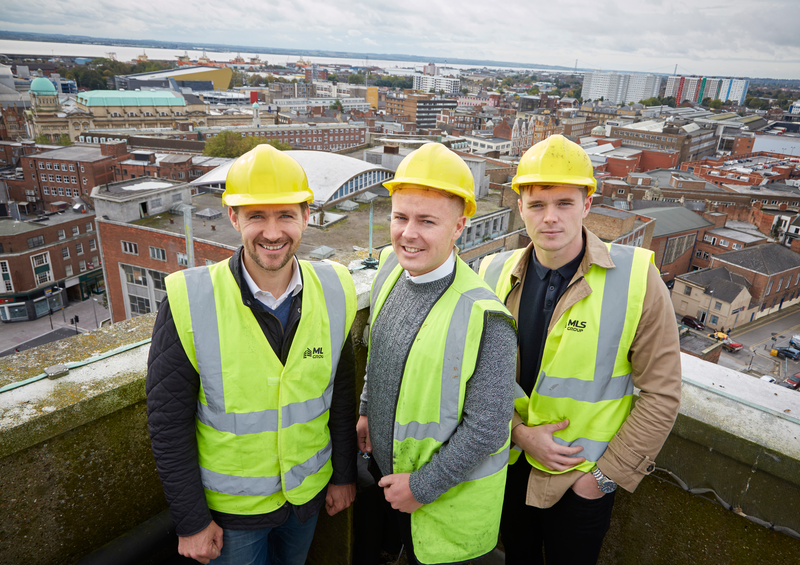 K2, Hull’s new £6m multi-functional living and workspace complex, will be equipped with the city’s most advanced telecommunications and wireless broadband systems. The 90,000sq ft development, which is located at the former Kingston House premises in Bond Street, will have a fully-managed, state-of-the-art telecoms service, including a dedicated fibre feed with high-speed wireless back-up, seamless Wi-Fi throughout and voice over IP (VoIP) telephone systems. The installation will be carried out by Hull-based internet phone company Connexin, which has been appointed by K2 developers Tradepark Ltd.
“The smart wireless infrastructure being installed at K2 is one of the most technologically advanced in the north of England and will make the development a truly smart space. It will give tenants access to the highest-quality internet services in the region. K2 will incorporate flexible office and co-working space, 14 luxury serviced apartments, a 100-bed hotel, and retail and leisure space, with plans to include a restaurant, gym, bar and a café with rooftop terrace. The development has been inspired by contemporary, flexible co-working spaces, serviced offices and apartments in neighbourhoods of New York and East London.